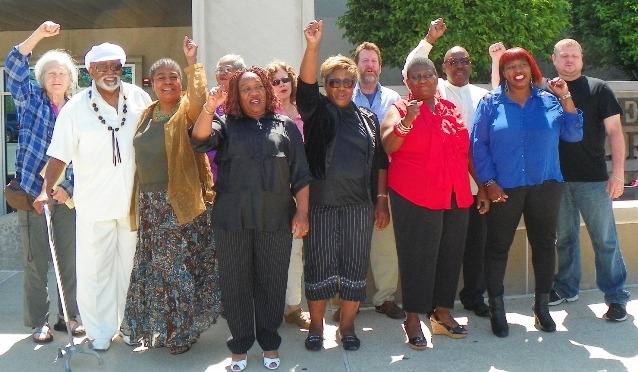 On June 5, 2014, a Benton Harbor court found it had enough evidence to call for a jury trial of Black Autonomy Network of Community Organization's President Rev. 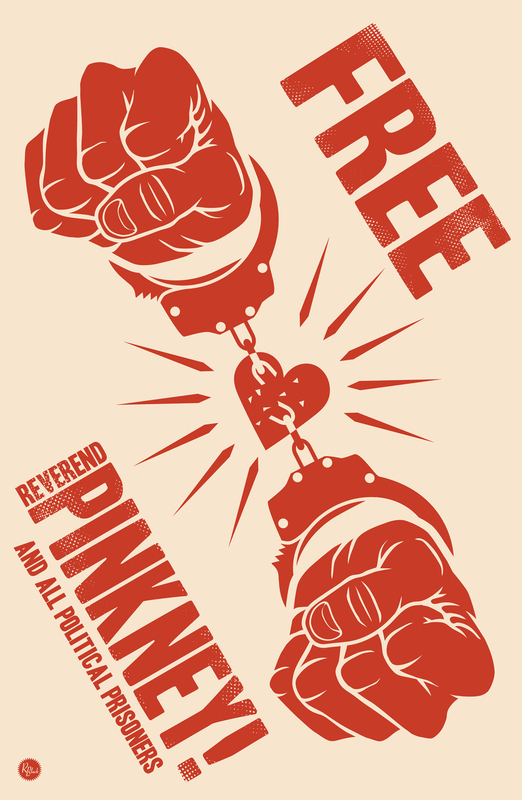 Edward Pinkney. 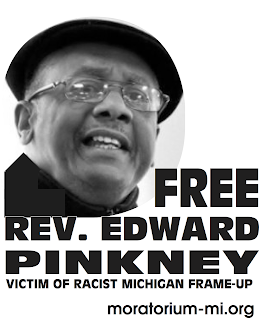 Charged with election fraud, Rev Pinkney, a community activist and outspoken critic of Whirlpool, Governor Snyder, Mayor Hightower and Emergency Managers, strongly denies the allegation! Read the full story for yourself as reported by Voice of Detroit. 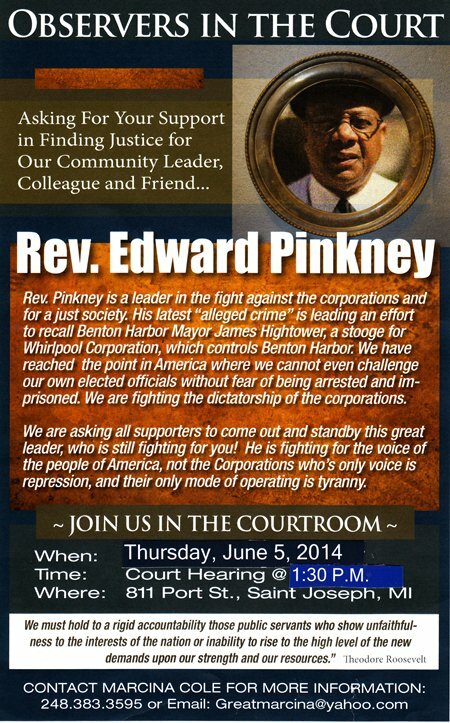 Even the normally conservative Benton Harbor newspaper the Herald-Palladium said in headline coverage of the exam, “Expert witness can’t pin it on Pinkney.” Hightower is an ally of Whirlpool, a $19 billion global corporation which Pinkney and the Black Autonomy Network of Community Organizations (BANCO), have targeted for years, saying it destroyed the city’s job base by closing its plants, grabbed its land, and now pays no city taxes. The recall petition cited Hightower’s failure to approve a city income tax which would have forced Whirlpool to pay taxes to Benton Harbor.